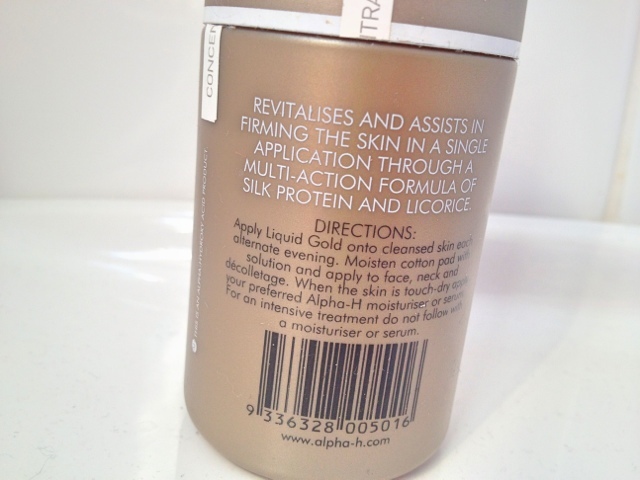 This a post I have been meaning to write up for ages, I feel guilty that this little gem has been in my skincare routine for some time now and I haven't told you all about it. To some of you this will need no introduction at all as it has a massive cult following, named the "overnight facial" this has and will, improve your skin as you sleep! 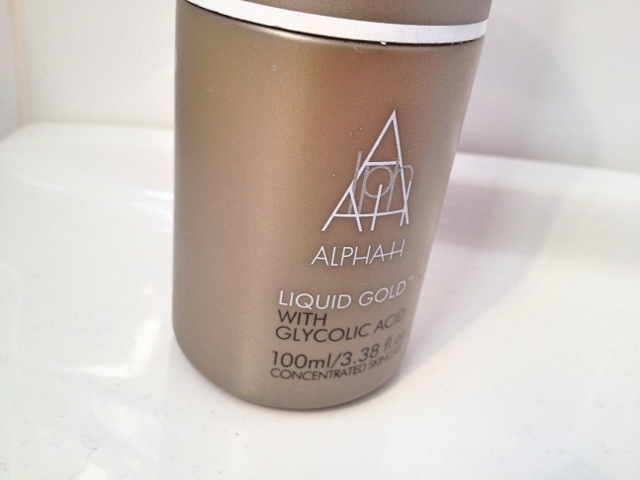 Alpha H Liquid Gold is a powerful and effective tonic that contains Glycolic Acid, an extract derived from sugar cane. The Glycolic Acid kick starts the skin's metabolism, improving the texture and appearance of fine lines and open pores. It dissolves the bonds that hold dead skin cells together, allowing them to be washed away during your morning cleanse. By safely and effectively removing dead skin cells you are left with a refreshed and more even skintone. This tonic also helps with hyperpigmentation, acne scars and can tighten skin to reveal a more youthful and refreshed appearance. 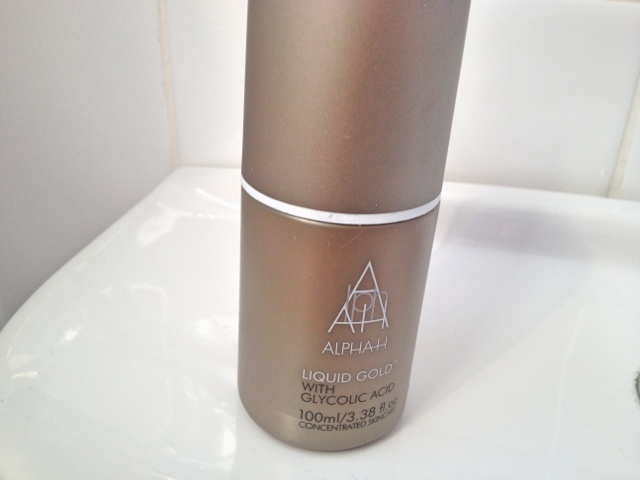 Alpha H Liquid Gold can easily blend in with any skincare routine. It is designed to be used every three days and worn overnight which means you can still use the products that you love on the other two nights. Liquid Gold is applied to cleansed skin with a cotton pad and the last step of your night time skincare routine. The tonic is then left on overnight and washed off in the morning. When I first started using it I did experience a slight tingling sensation which is completely normal and indicates that the product is working. When I wake my skin has a healthy glow to it and looks rejuvenated and refreshed. Since I started using it (about 3-4 months ago) I have noticed some changes to my skin. It no longer looks dull, my pores are less visible ( I don't think any product will diminish them completely! ), the lines on my forehead are less prominent and the overall texture of my skin is a lot more even. This product really does work, but please don't think that after one use you are going to look 10 years younger. To begin with the changes were very subtle and I was left a little disappointed but after continued use there was an improvement to my skin. I no way get as many breakouts like I used too and have noticed that I have been opting for a more light coverage foundation, now this may have something to do with summer and the weather we have been experiencing but I have always hated my skin and have worn full coverage foundation all year long. I feel more confident about my skin and don't feel the need to hide it completely anymore. The results I think will vary with everyone, if you already have a fantastic skincare routine and look after your skin (ie cleansing morning and night, regular exfoliation, anti ageing treatments, moisturisers/serums), the results may be a little less than someone ( like me) that has just started to take care and look after their skin. I would recommend anyone to try this and I will continue to use it and repurchase it from now on. Have you tried any products from Alpha H? What do you think to them? You need to try it! I think QVC sell it in a try me kit and have some really good offers on. Just checked out your post and the before and after pics are amazing! I'm so glad I found this product and like you would no be without it now. Thank you Hun. You need to try it, I think you will love it! I would love to try this, such a shame shipping it to Europe is so expensive.